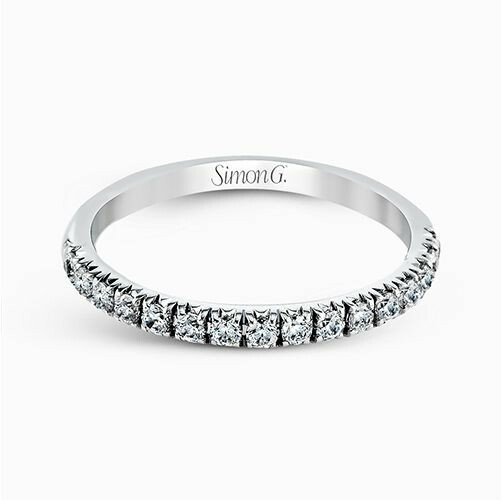 A string of delightfully dazzling diamonds comprises this wedding band from the Simon G. Passion collection. Crafted in 18kt white gold, it is proof positive that a classic never goes out of style. 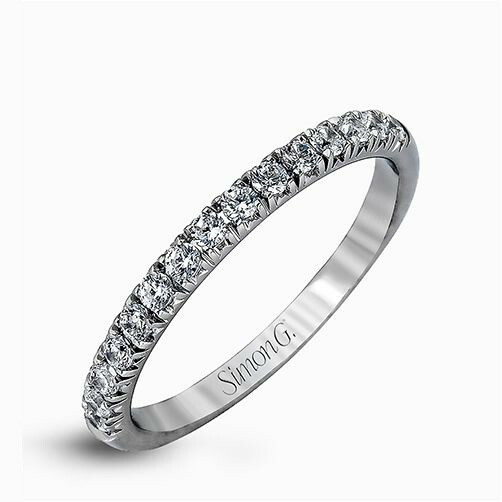 This Simon G. wedding ring, with its single row of radiance, keeps it simple in a most stupendous way!.